Enzyme-linked immunosorbent assay (ELISA) is a biochemistry assay method that uses a solid-phase enzyme immunoassay (EIA) to detect the presence of a substance, usually an antigen, in liquid samples. 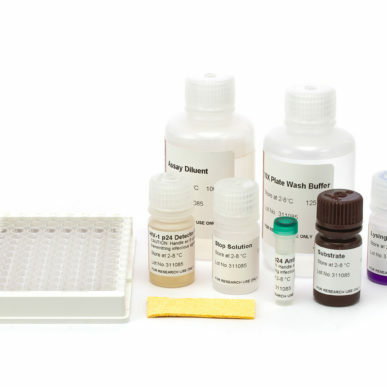 ELISA tests are commonly carried out using a micro well format and usually use antibodies in the sample linked to an enzyme, which when added to the enzyme’s substrate, creates a detectable signal. The detectable signal is usually visualised by a colour change to the substrate. 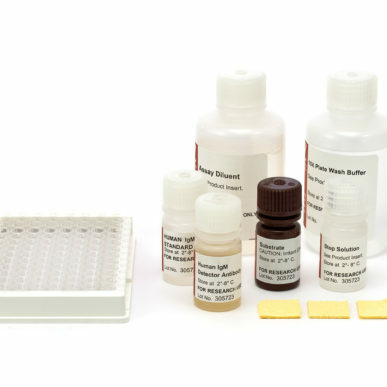 •	IMMUNOTEK™ kits can detect and quantify various immunoglobulins from many species including Human, Chicken, Cow, Goat, Rabbit, Rat and Mouse. We also provide HHV-6 IgG antibody and KSHV/HHV8 IgG antibody ELISA kits.